iKnowledge advances teachers' digital literacy and understanding through a sustainable training model of 'Train the Trainers'. The project also provides educational content for teachers to apply straight into their classrooms, greatly improving educational engagement with students. Phase One of the project was implemented in 2015 through UK Space Agency’s (UKSA) International Partnership Space Programme (IPSP) and has successfully moved into Phase 2 within the UKSA International Partnership Programme (IPP). Teachers access satellite broadband via Avanti Communication’s HYLAS 2 satellite, which provides 100% coverage of Tanzania. Broadband is installed and supported locally through our local Satellite Internet Provider (ISP) partners, whilst the ICT hardware, digital training, and educational software are delivered in partnership with Avanti Communications, Camara Education Tanzania, and Discovery Learning Alliance. In Phase One of iKnowledge, we connected over 250 schools across 25 regions in Tanzania with satellite broadband in less than four months and trained 345 teachers. In Phase Two, we connected an additional 50 schools with satellite broadband in remote locations of Tanzania and provided ongoing support to the teachers previously trained and enabled in Phase One of the project. 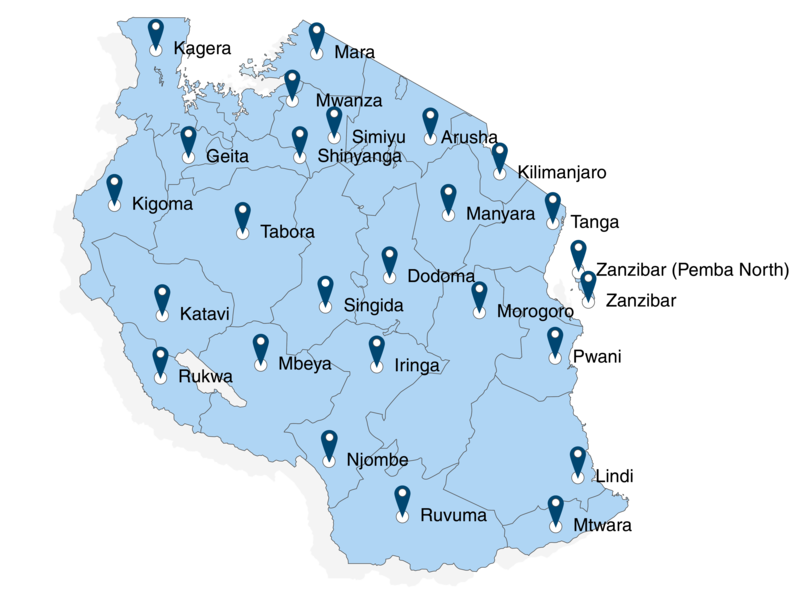 iKnowledge provides satellite broadband connectivity to 10 schools per district in 25 regions across Tanzania. These schools are a mix of Primary and Secondary schools. In Phase Two, an additional 50 Secondary schools will be connected in remote parts of Lindi and Mtwara. We recognise Connectivity, Capacity, Content, ICT equipment and Government support as five key elements that when put together provide a context within which educational needs can be addressed to create the environment that allows education innovations to be tested and potentially scaled. The inputs once combined create a comprehensive learning experience that contributes towards creating an improved educational environment for learners and addresses the UN SDG goal 4.a.1. Phase One of iKnowledge project focused on establishing the model that consisted of one Academy school, three Teaching Lab schools and six Administration schools per region. Teachers from the Academy schools and Teaching Lab schools were provided with ICT training; in addition, the Academy schools received the Leadership training. The purpose of the Leadership Training was to empower the teachers to train additional teachers from the surrounding Teaching Lab schools or Administration schools. Each of the Academy and Teaching Lab schools (Primary Schools) are facilitated with high speed satellite broadband, a suite of laptops, a projector and a server that hosts educational content. The Administration schools (Secondary Schools) receive similar equipment types but without the content server and training.